In October a sweet little girl we know turned eight years old. She’s the only girl in her family, and over the past couple of summers it’s been fun to watch her play with all my girls. There have been more afternoons spent sitting together outdoors dressing dolls and playing than I can count. I decided to make her a little quilt to use on those afternoons. Unfortunately, all my photos of the quilt have been lost except for these three taken with my phone. I went with a bright color scheme and chose a large range of designers for the fabrics. Some prints I’ve had for years while others have been released this year. 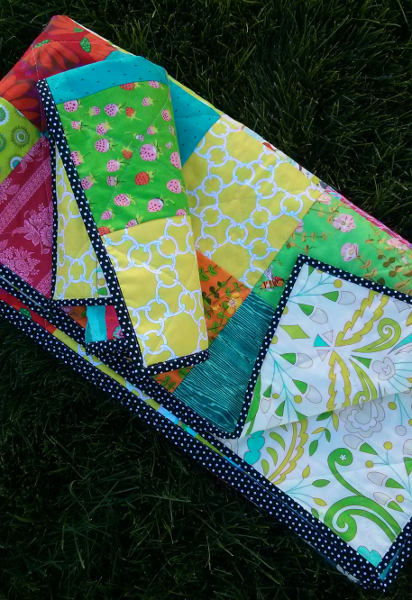 The quilt is simply pieced, patchwork style, with 6.5 inch squares. A low volume back was selected from my stash, straight line quilting done on the diagonal through each square in both directions, and a black and white binding finished it off. I also made a second doll-sized quilt from leftover squares. 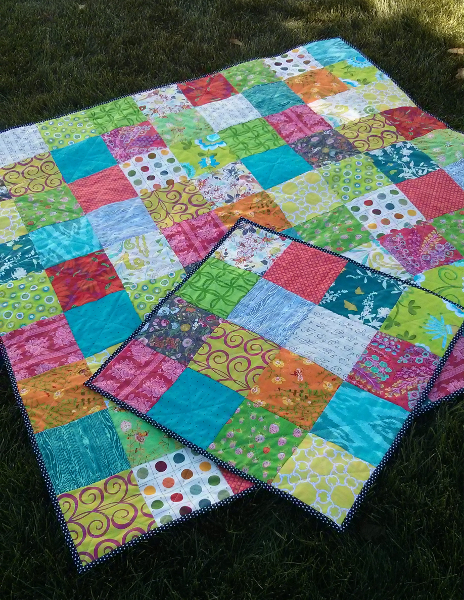 The quilt was excitedly delivered by my younger four daughters and happily received by their friend. Handmade gifts are joyful things. 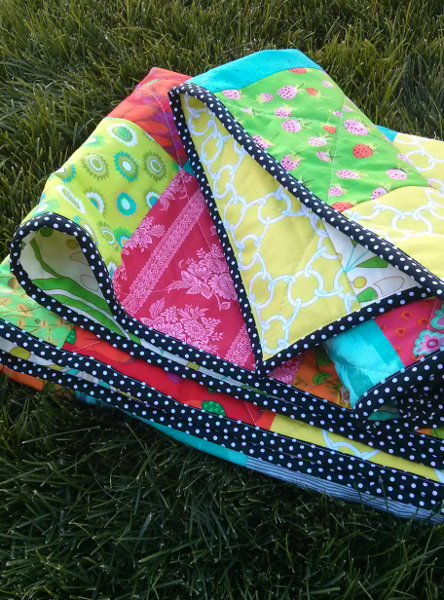 That is an adorable quilt!